Get rid of the metadata of your JPEG images. 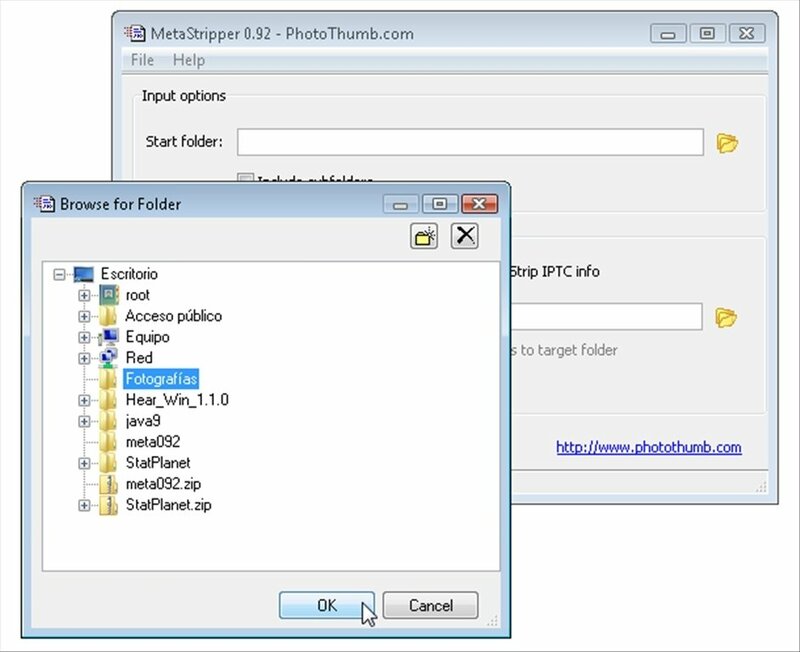 MetaStripper is a small tool capable of very easily deleting the metadata from your images using an automatic process. 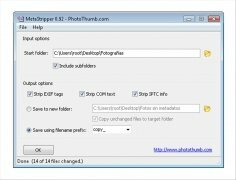 Delete metadata from JPEG images. Eliminate EXIF, COM and IPTC tags. Process large amounts of images. The process doesn't imply the images being decompressed. Save the images in a new folder or rename the processed files and maintain the originals intact. The metadata of your images are generated by the camera with which they were taken and they provide all kinds of details. Nevertheless, you may need to get rid of them, like when you are going to share them on the Internet. The only drawback against MetaStripper is that it is only compatible with JPEG files. In all other regards it is very easy to use and effective, thus don't doubt about downloading MetaStripper for free if you need to get rid of the confidential information about your images and photographs.